It was a critical game for the San Antonio Marshall Rams on April 8th. They were sitting at 6-6 in district and facing a tough game with the 2nd Place San Antonio O’Connor Panthers. In a must win situation, Marshall pulled out a 3-2 win over O’Connor, thanks to Jeremy Garcia’s gutsy performance on the mound. Garcia pitched a complete game giving up only 5 hits, 2 BB, and 2 unearned runs. What makes Garcia’s performance more incredible is the fact that just 3 weeks earlier, Jeremy spent a week in the hospital with complications from Primary Sclerosing Cholangitis, a disease that affects the bile ducts in and around the liver. He was diagnosed with this disease just before the start of baseball season this year. And not only does he battle with this chronic disease, but he also is a Type 1 Diabetic and has Ulcerative Colitis. Jeremy battles these things every day and has good days and bad days. Jeremy has pitched 33 innings this year and is 3-2 on the season with a 1.69 ERA. He has struck out 21 batters while only walking 8. He has allowed only 8 earned runs in the 33 innings. Not only was he instrumental in the big win over O’Connor but also got the victory in an earlier 4-1 win over Brennan. 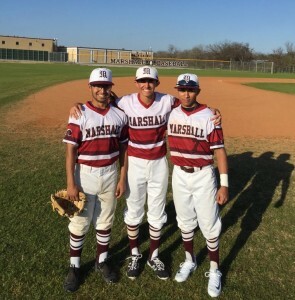 Jeremy’s contributions of key pitching performances, leadership and inspiration is keeping the Marshall Rams alive in the race to secure one of the playoff spots. Jeremy Garcia, left with teammates Ryan Bias, Brandon Montezdeoca. 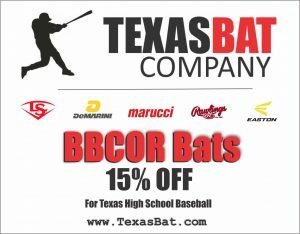 With the Texas High School Baseball regular season just 9 days away, teams find ways to prepare their kids for the season and raise money for the baseball program. Saturday, the Ft. Bend Kempner Cougars held their 2nd annual Long Ball Hitting Contest fundraiser. 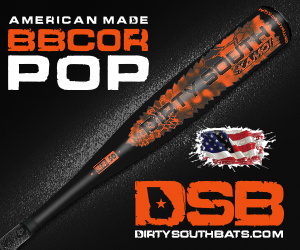 Cougar players had to find a sponsor to pay their $20 entry fee to get 10 swings at the plate. There was also a raffle and a silent auction for the event. Community leaders in Cameron, Texas will host Opening Day at The Yards of Cameron on Saturday, February 20. The daylong event is the first opportunity for residents in central Texas to see, tour and enjoy the $18 million project that is well on its way to completion. Activities on February 20 include Family Fun & Fitness in the morning, a Yoemen alumni baseball game, a sneak peak opening for 44 Farms Farmers Market, the official Yards dedication ceremony and a doubleheader between Temple College and Angelina College in the afternoon. In addition, public tours of the facilities will be available throughout the day, as well as kite flying and drone demonstrations. Beginning in February, the C.H. Yoe High School baseball team will play all home games on Field #1 at The Yards of Cameron. “In 2014, the Cameron Independent School District partnered with the Cameron Economic Development Corporation to build the finest baseball facility in Central Texas,” says Allan Sapp, superintendent of the Cameron ISD. Yoe alumni will scrimmage on Field #1 of The Yards at 9 am on Opening Day, and Temple College will play Angelina College in a doubleheader starting at 2 pm. “We have some exceptional athletes among our Yoe alumni, and they are excited to take to the field on Feb. 20,” says Baseball Head Coach John Broussard. The first Yoe home game will be The Yoemen Classic scheduled Feb. 26-28 at The Yards of Cameron. Currently Field #1, Founders Hall, 44 Farms Farmers Market, the hike-n-bike trail, a large outdoor play space for children and community parking at The Yards are ready for use. When fully completed, the major-league caliber facilities on the east side of Cameron will include baseball and softball fields, a farmers market, hike-n-bike trails, play areas and a community event center. Phases 2 and 3 will include two more synthetic baseball fields, three softball fields and an expansion to the hike-n-bike trail. The Yards will position Cameron as the epicenter of outdoor youth sports activities in Central Texas. in direct visitor spending nationally, according to the National Association of Sports Commissions and the U.S. Travel Association. The Yards of Cameron are located at 301 Adams Avenue. Community hosts for Opening Day include the Cameron ISD, Cameron Economic Development Corporation, City of Cameron, Cameron Future Foundation and Cameron Industrial Foundation. 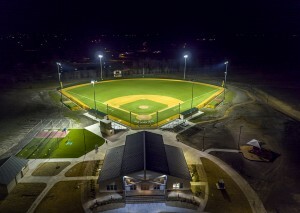 For more information about Opening Day at The Yards of Cameron, visit www.TheYardsOfCameron.com. On Facebook, like The Yard of Cameron and on Instagram, use @theyardsofcameron. Bishop’s JK Moody will be honored at the 12th Annual South Texas Winter Baseball Banquet this month as one of 2015 South Texas High School Coaches of the Year. Moody had the second-ranked Badgers (29-11-2) at the state tournament and in the finals for the first time in school history. Before falling to West, 4-3, on June 11 at The Dell Diamond, Bishop dispatched Lyford, Hebbronville, Odem, Comfort, Lago Vista, and Edgewood for an 11-3 playoff record. The Badgers emerged from District 31-3A with a 6-3 record as the No. 2 playoff seed behind undefeated Banquete. Senior catcher Nick Colecio, senior first baseman Austin Munoz, senior shortstop Kobrey Garcia, junior outfielder Aaron Cardona, junior second baseman Noe Garza, and sophomore outfielder Rico Trevino were Texas Sportswriters Association all-state selections. 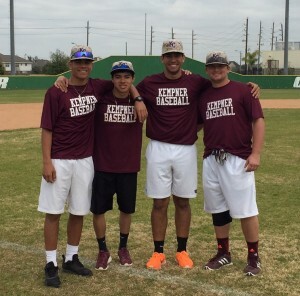 Colecio, Garcia, and Cardona earned all-state mention from the Texas High School Baseball Coaches Association. Cardona, Trevino and junior utility man Dalton Horner made the all-state tournament team. Mike Filla, Daniel Pierce, and P.J. Williams served alongside Moody on Bishop’s 2015 coaching staff. The 2016 South Texas Winter Baseball Banquet is presented by the Corpus Christi Caller-Times and iHeartMEDIA. Tickets for the January 14 event at the Solomon P. Ortiz Center are on sale now at the Whataburger Field Box Office. 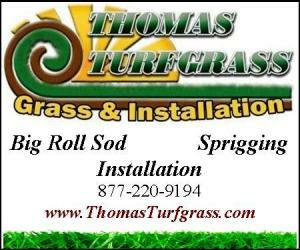 To order by phone, call 361-561-HOOK (4665). Banquete senior right fielder/pitcher Cooper Wildman is the 2016 recipient of the Matt Beveridge Award. Wildman will be honored at the 12th South Texas Winter Baseball Banquet on Thursday, January 14, at the Solomon P. Ortiz Center. The event is presented by the Corpus Christi Caller-Times and iHeartMEDIA. Tickets are on sale at the Whataburger Field Box Office. To order by phone, call 361-561-HOOK (4665). Wildman, ranked first in his class with a 106 average, has been a Bulldog varsity baseball player for four years. He is a three-time all-district selection who hit .315 with 11 RBIs for Rusty Miller’s 2015 District 31-3A champions. On the mound, Wildman went 3-0 and posted a 0.75 ERA. Wildman earned three varsity football letters at quarterback and safety, but was forced to miss the 2015 season due to an ACL injury. He’s also sprinted for two district championship track teams. Off the field, Wildman serves as president of his class, the National Honor Society, and Future Farmers of America. He’s parliamentarian and former president of the Travelin’ 4-H Club. Wildman, who owns an extensive community service record, has competed in the Nueces County Junior Livestock Show, State Fair of Texas Show, San Antonio Livestock Show, Houston Livestock Show, Austin Star of Texas Show, and Fort Worth Stock Show. A trio of juniors – Miller pitcher A.G. Ayala, Tuloso-Midway second baseman Ryan Chapa, and Benavides pitcher/outfielder Jesus Sanchez – were the other 2016 Matt Beveridge Award finalists. Seven years ago, the Corpus Christi Hooks established the award to honor the life and legacy of one of the Coastal Bend’s most beloved and respected high school athletes. 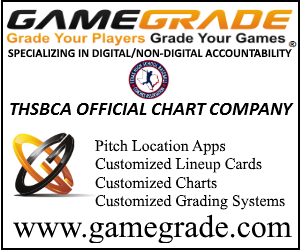 Area high school baseball coaches nominate players based on four attributes: character, courage, leadership, and spirit. Matt excelled in both football and baseball for the King Mustangs. He had a heart for God, his family, church, and teammates. Following his junior year, Matt was diagnosed with cancer. Through two years of treatment, Matt showed tremendous courage battling the disease, inspiring everyone around him. Calallen’s Steve Chapman will be honored at the 12th Annual South Texas Winter Baseball Banquet this month as one of 2015 South Texas High School Coaches of the Year. Chapman guided the Wildcats to the UIL Region IV-5A finals, a No. 4 state ranking, and 32-5 overall record during his 33rd season at Calallen. After wrapping up the District 30-5A crown with 15 wins in 16 games, the Wildcats went 9-2 in playoff action. They swept Laredo Cigarroa, Mission Sharyland, Victoria East, and Alamo Heights before falling to Georgetown in three games. Senior pitchers Dylan Duarte and Kyle Hill, junior second baseman Josh Baltierra, senior outfielder Chase Whetsel, and junior outfielder Nathan Rabe represented Calallen on the Texas Sportswriters Association all-state team. 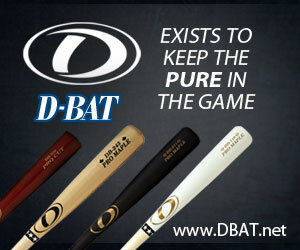 Duarte and Baltierra were included on the Texas High School Baseball Coaches Association all-state squad. Chapman, who also earned large school coaching honors for 2011, was recipient of a Lifetime Achievement Award at the 2012 banquet. He skippered Calallen to Class 4A state championships in 2000, 2005, and 2008. Jose Luis Lopez, Richard Vasquez, Jordan Chambless, Rodney Savanich, and Rey Cardona comprised Chapman’s 2015 coaching staff. A couple of late Fall baseball signings result in two more former 2A Trenton players moving on to the next level. Garrett Puyear (2014), who was a pitcher and shortstop for Trenton and had previously redshirted at Vernon College, was offered a scholarship to play at Crowley’s Ridge College in Paragould, Arkansas. He will join former Trenton battery mate, Cody Lambright (2014) who is a catcher at Crowleys Ridge. In a short notice, “pack your bags signing”, former Trenton pitcher/1st baseman, Ben Minter (2015), was offered a spot at Rainy River Community College in International Falls, Minnesota. Ben was a full-time student at Grayson Junior College when he received the offer to play baseball again. Ben was offered on Monday, January 4 and left for Minnesota on January 6th. These two signings make 8 players from Trenton who have gone on to play at the next level in the last 3 years. I asked Coach Cranford a few months back about his role in assisting Bryce Brakebill (2015) get an offer from McPherson College, in Manhatten, KS. Coach Cranford, who is in his 2nd year at Trenton, stated it wasn’t his role to decide which kids moved on to the next level. It was his job to push out information on all his players and let the next level decide who they want. It appears this theory is working as Rainy River Community College wasn’t on Ben’s radar. The lesson here is there are opportunities out there for all baseball players – regardless of classification. It takes some work on behalf of players and coaches to find that opportunity. It takes some risk to move 18 hours away from home as Ben has done. If playing at the next level is the dream, work to find the opportunity. Trenton Players to sign in the last 3 years. Sabine Jr. Bo Bates passed away Sunday after wrecking his vehicle near Liberty City. Bates was a member of the Sabine Cardinal baseball team. He started as a sophomore and was returning for his junior season with the team. Bates was actively involved in multiple sports at Sabine ISD. The evening will be celebrating the life and legacy of the late Steve Castro; long-time Robstown Head coach who will be honored with a Lifetime Achievement Award. Castro passed away in October at the age of 66. He was elected to the Texas High School Baseball Coaches Association Hall of Fame in 2014 after guiding Robstown’s baseball program for 28 seasons making the playoffs 24 of those seasons and bringing back Consecutive State Championships (91-91) to his hometown. His Cotton Pickers also made State Tournament Appearances in 87, 88, 90. 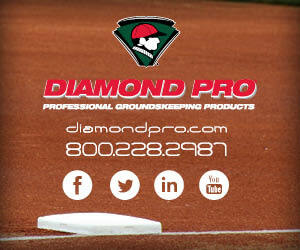 Featured Guest will be Corpus Christi Hooks Original Manager from 2005-2007 Dave Clark. The banquet will feature a Preseason Large School (6A-5A) and Small School (4A, 3A, 2A) All Star Teams that were nominated and voted on by the coaches of South Texas. The Large School Team has Carroll Tigers 3B Michael Berglund, Trace Bucey, and P Jon Mike Rodriguez. District 30-5A shines as they have 9 out of the total 14 players selected. Calallen is lead by All State 2B Josh Baltierra and OF Nathan Rabe. District Runner up Gregory Portland places OF Sage Hamon and 3B Ryan Sturgeon. Catcher Angel De La Paz and 1B A.J. Hatheway represent Moody. Flour Bluff, Miller, and Victoria East each place OF Anthony Montoya, P A.G. Ayala, and P Eli Villa, respectively. Rounding out the team are Ray junior shortstop Nick Loftin, and King junior pitcher Dustin Saenz. In the Small School Division State Finalist Bishop Badgers continue to reap the rewards of their Round Rock appearance by placing P Noe Garza, Of Aaron Cardona, DH Dalton Horner, and OF Rico Trevino on the team. Also on the team, no strangers to postseason and preseason accolades are Banquete 3B Jake Mijares, Robstown P Jesse Ray Garcia, and Sinton SS Jordan Martinez. Joining them are Sinton C C.J. Zepeda and Banquete 2B Richard Sanchez, Falfurrias 1B Abel Guerra, Hebbronville OF Isaiah Trevino, Refugio P Cole Van Ness, and Odem P Michael Everett.